If you're interested in donating money to save the Faber's Bicycles building a campaing has been started on Fundly. 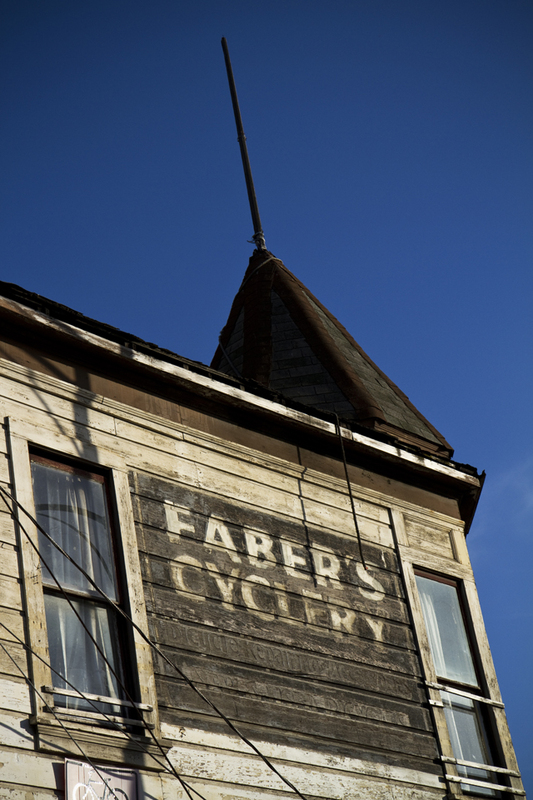 Late in the night while editing through some recent work, I found out that the former Faber's Bicycles Shop, the iconic and historic building on First Street in San Jose, was engulfed in a 3 alarm fire. I snatched up my camera bag and jumped in my car hoping to find some piece of the structure still left. While I drove over I couldn't help but think that yet another piece of San Jose history, reduced to nothing more than a real estate deal, had been mysteriously lost to a fire. I made a list in my head while waiting at a red light of every building that I've seen burn down, but decided to not think about it. 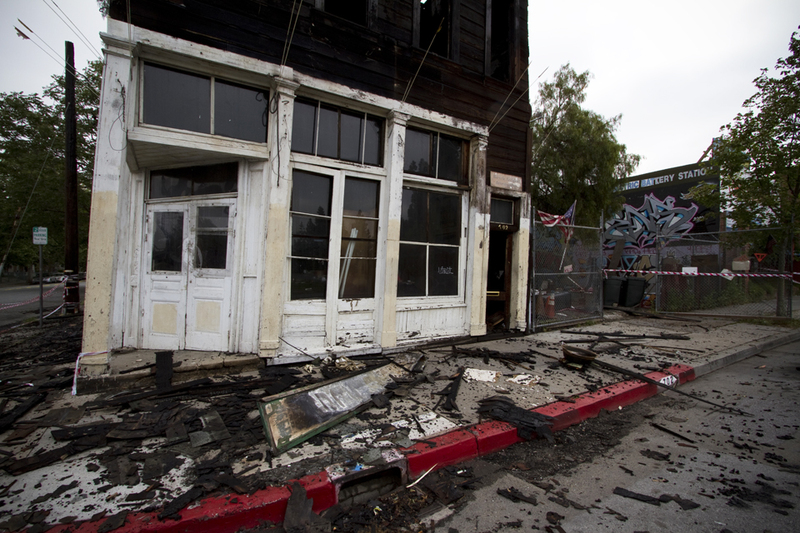 When I arrived, the fire was out and the building slumped awkwardly on the corner, smoke drifting from every opening. I took what photos I could, staying out of the way of the fire and police, sharing my disbelief with the group gathered across the street, the whole time thinking about all the photos I had taken of the building over the years, all the photos I still wanted to take, all the memories, all the potential the building had and what the building meant to the neighborhood, what it could become.